Cal Poly is essentially a small city with over 2,700 full time employees and 19,000 students- 7,500 of them living on campus. 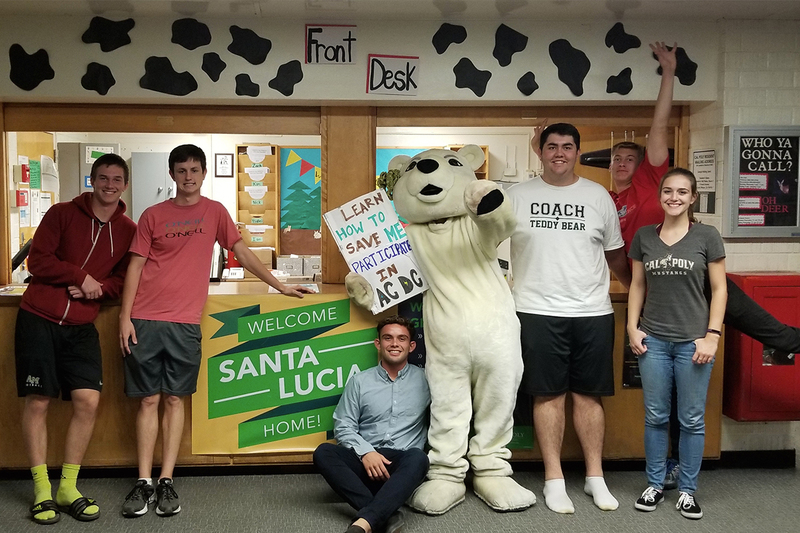 While providing services to this community, University Dining, Housing, and New Student Transition Program staff have made sustainability an integral part of doing business. As one of the largest commercial services at Cal Poly, Campus Dining strives to reduce its environmental impact on campus, or ecological “foodprint.” Program strategies are threefold: to increase food sustainability through procurement, production, and waste practices, to build partnerships across campus with stakeholders sharing common goals for a more holistic, effective approach, and to employ community outreach to educate and promote food sustainability. Since 2009, Campus Dining has diverted food scraps from landfills through its composting program. On average, 230 tons of food scraps and coffee grounds are locally composted annually. In addition Dining prioritizes recycling used cooking oil and annually on average they recycle over 193,000 pounds of cardboard, 400 large bins of aluminum, plastic, and glass. The bag ordinance in SLO County, effective October 1, 2013 banned one-time use plastic bags from certain retail spaces around the county. Prior to the ordinance Campus Dining voluntarily switched out their plastic bags for vegetable based "bio bags" and reduced the number of places they are available. Where there used to be plastic bags available on counters at all times, very few dining operations have bio bags and the ones that do keep them behind the counter and are available upon request only. The Cal Poly Organic farm and various Ag Enterprises sell products in Campus & Village Markets. Look for the Cal Poly labels on products such as cheese, chocolate, jams, honey, and produce. Cal Poly chickens also provide over 50,000 eggs a year to Campus Dining. Washing trays requires thousands of gallons of water a year. Campus Dining is committed to water conservation, and eliminating trays is a simple way that the campus can cut down on water usage. Educational outreach to student clubs about ways to reduce environmental impact of their display booths and food sales by limiting packaging, recycling, composting, and Zero Waste event planning. Promoting display booths that are designed and constructed for reuse every year. Limiting distribution of printed materials and promoting use of recycled content paper. Elimination of Styrofoam for food service sales, and recycling of paper, cardboard, plastic, glass and aluminum. Conversion of all paper handouts to electronic format via USB drives which students keep, eliminating 70,000 pages of paper handouts annually between SOAR and WOW combined. 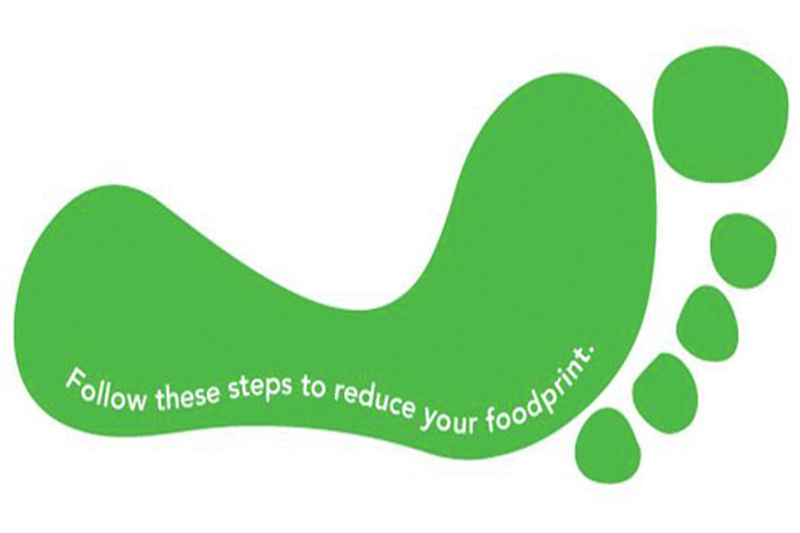 All food service is Zero Waste, with all waste being either recycled or composted. Students are given a refillable water bottle to educate them about the environmental impact of purchasing bottled water. 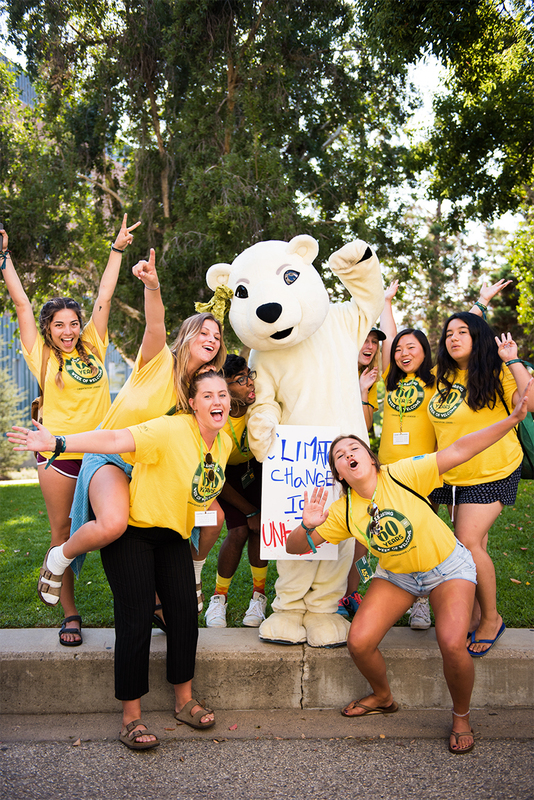 Students receive education about sustainable living and Cal Poly's ongoing efforts to be green. A Block Party is held to expose students to the many sustainability clubs and student organizations. Students learn about sustainability in curriculum and coursework, as well as green careers. University Housing considers sustainability an important priority in the ongoing maintenance and renovation of buildings and grounds. University Housing invests utility savings from conservation programs and retrofit projects into a sustainability fund, which is used to support other sustainability projects and programs. Educational outreach, information sessions, and guest speakers. Energy and water conservation competitions in partnership with the Green Campus Program. Designated Eco Reps for each hall that participate in Inter Housing Council.